Did you know that there is a natural treatment for acne scars known as a Spongilla powder resurfacing treatment? What is a Spongilla powder and how to get rid of acne scars using a Spongilla powder, also known as a Badyaga powder? Have you ever wondered how to get rid of old acne scars or how to get rid of deep acne scars in home settings? Try this natural treatment for acne scars called a Spongilla powder resurfacing treatment at home. It takes time to see the result, but worth the try. What is a Spongilla powder, also known as a Badyaga powder? Spongila powder, also known as a Badyaga powder is basically a dried and chopped freshwater sponge. Spongilla is found in lakes and slow streams. Dried and purified Spongilla powder can be used as a dermabrasive agent to help resurface the skin on the face or other parts of the body. Upon massaging pure Spongilla powder into the skin, spicules penetrate the skin creating microscopical injuries to the epidermis. This will activate a wound healing response, which will activate an increased blood flow to the wound. Increased blood flow helps to dissolve spots, bruises, stimulating new cell growth, elastin, and collagen production thus improving skin tone and texture. In addition, spicules that penetrate the skin aid in the delivery of bioactive compounds to the dermis. Spicules also open the pores and prevent future formation of comedones. Spongilla can be used to rejuvenate the skin, to remove old or dead cells from the skin’s outer layer without harming the young and living cells. It can be used as a natural treatment for acne scars. As a result, using Spongilla to resurface the skin results in smoother and softer skin. Resurfacing the skin using Spongilla is very popular among the Russian population as a natural dermabrasion method. It’s because Spongilla is 100% natural and gentle enough on the skin not to cause burns or other serios damage. Now we know what is a Spongilla (Badyaga powder) and what it does to the skin. Now let’s see how we can perform a natural treatment for acne scars using a Spongilla powder resurfacing treatment at home. Where to buy Spongilla (Badyaga powder)? 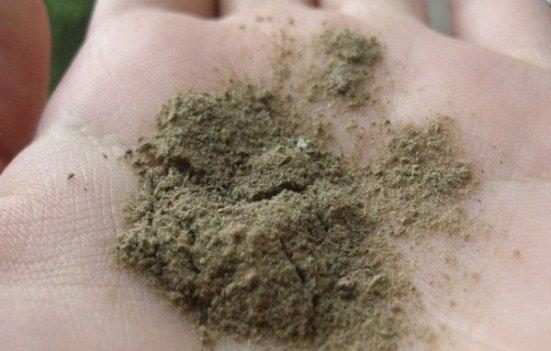 I buy my Badyaga powder (Spongilla powder) on eBay. It’s more cost-effective if you buy it there. It usually ships from the outside of the US. It’s also available on Amazon: Badyaga powder on Amazon. Floral water (Rosewater) – 12 ml. Apply to the mid-forehead by massaging in circular motions. Then gently spread with your fingertips in small circular movements using even pressure. The mask should be massaged into the skin before it dries to optimize penetration of the spicules into the skin. Repeat the steps moving down to the temples, cheeks, nose, and chin. A tingling sensation can be experienced during application and after removal of the mask. After massaging, the mask should be left to dry on the skin. The treatment may take 5-15 minutes for the face. For deeper resurfacing the treated area can be massaged again after the mask dries up, using the rosewater, other floral water, or just water. After the treatment is complete, the mask is rinsed off with cold or warm water. If you want, you can also use an emollient cleanser to wash it off. Avoid using heavy moisturizers for at least 12 hours after the treatment. On the 5th day after the treatment, wash your face using a facial scrub to remove peeling epidermis. Use a sunscreen with SPF 30 when exposed to the sun for at least 2 weeks after treatment. Make a paste by mixing the Spongilla powder and 3% Hydrogen peroxide. Don’t make it too runny to avoid leaking from the face. Massage the face using an even pressure on the face for 5 minutes. Let dry for another 15 minutes. Wash it off with cold or warm water. Don’t apply any cream after washing the paste off. When the skin starts peeling apply a Cream with Zinc to make the peeling process faster. Avoid the sun for at least 2 weeks. Prepare a paste by adding boric acid and water to Spongilla powder. Do not make the paste too runny, it needs to stay on the face like a mask. Apply the paste to the problem areas on the face and let stay for 10 minutes. Wash the mask off with warm water. Immediately apply Arrowroot powder on your face using a clean brush. You will have redness and tingling sensation on your skin for 2 days. On days 3-5 your skin starts peeling off. Perform once every 10 days. Total of 5 treatments. Want to check other methods of fighting acne scars?